High-level nuclear waste (HLW) is a controversial and risky issue. For the next 100 years, the HLW will be subject to policy decisions and value assessments. Physically safe, technologically stable, and socio-economically sustainable HLW-management will top the agenda. That must be accomplished in a society whose segments are both stable and in a rapid state of flux, under the influence of global as well as national factors, private interests as well as the vagaries of national politics. 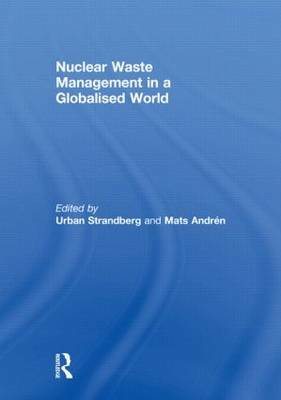 Among the challenges to be faced is how to codify responsibilities of nuclear industry, governments and international organisations, and any adopted management policy must attain legitimacy at the local, national, regional and global levels. All such considerations raise questions about the practical and theoretical knowledge. This special issue book will address these questions by exploring HLW-management in Canada, France, Germany, India, Sweden, the UK and the USA. Special emphasis will be placed on highlighting national context, current trends and uncertainties, with relevance to a socially sustainable contemporary and future HLW-management.